Starting from March, ms Pasila has been chartered to transport building materials for Yamal liquefied natural gas project in Sabetta, Russian Arctic. 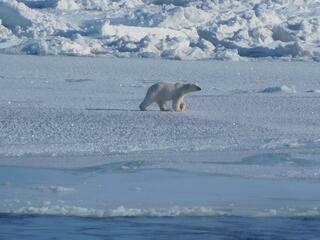 At the moment, ms Pasila is returing from her second voyage to Sabetta. 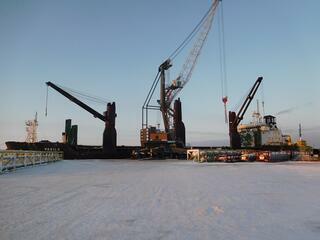 The Yamal peninsula is beyond the Arctic Circle and is ice-bound seven to nine months a year. 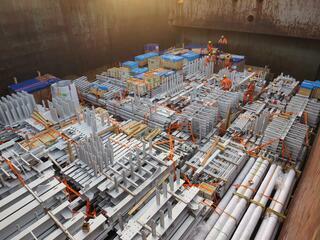 Main part of the materials is transported from China to Zeebrugge where the cargo is transferred to ms Pasila. This is because the ships trading between China and Zeebrugge are not capable of sailing in Arctic conditions. 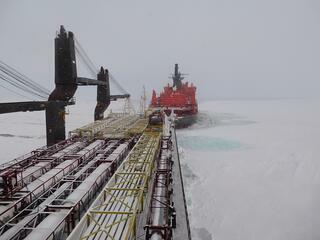 During the voyage from Zeebrugge to Sabetta, the Pasila has encountered challenging weather and ice conditions and even polar bears.